The mother daughter duo of Susan and Kendall Plank are still very active and involved in all areas of Dec My Room. It holds their passion, and they love being able to see the direct impact their "one-time idea" has on both pediatric patients and their loved ones. They are very excited to be currently working on Dec My Room's largest annual fundraiser, Kick Up Your Boots for Kids, on Tuesday, February 5, 2019 at the Redneck Country Club. What a great night at the Shark Tank! 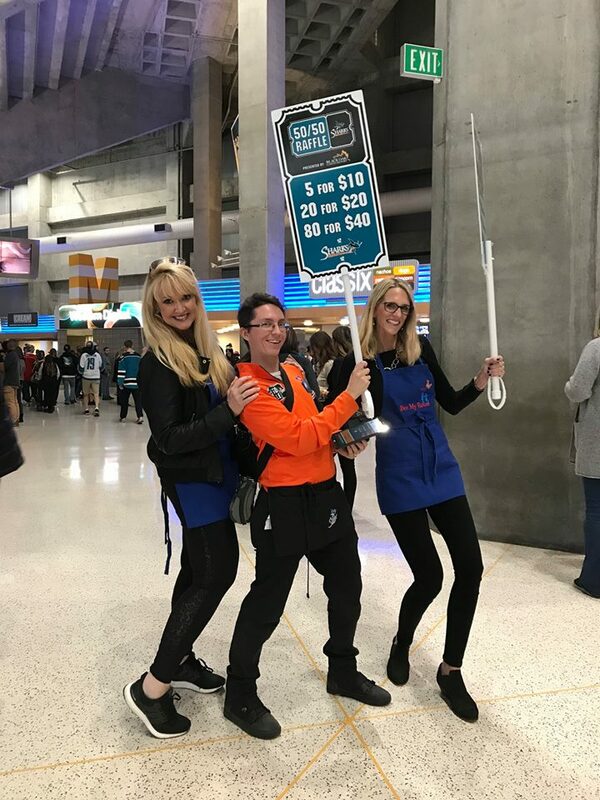 Dec My Room SF Bay Area chapter was the beneficiary of the the Sharks Foundation 50/50 raffle. 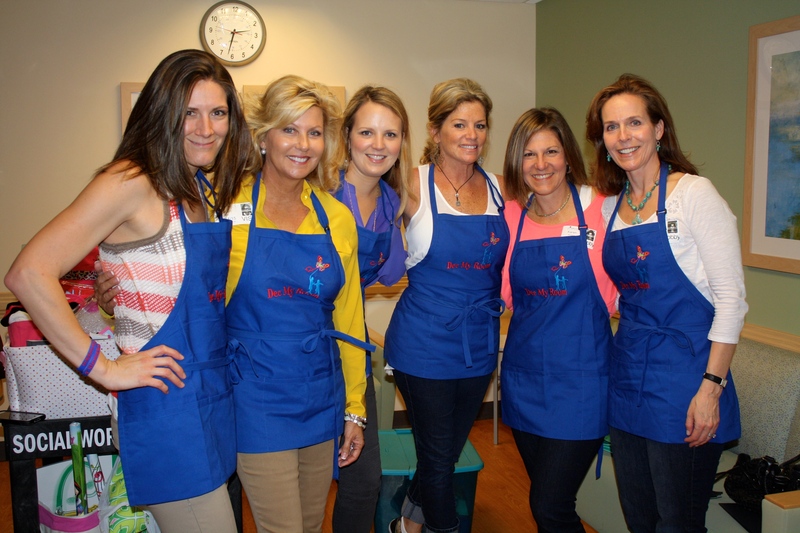 $6,900 was raised to create healing places for kiddos in the hospital. Giant shout out to Debbie Cohen for her heroic work on the grant proposal, which gave Dec the opportunity to be at the game. Dec My Room volunteers showed up in force to sell raffle tickets: Lisa Teglia-Cole, Jess Teglia, Nancy Larsson, Debbie Burkholder, Tate Holt, Trish Stempel; along with Wendy Reese Christensen from UCSF Benioff Children's Hospital SF, and Romy Andrea, Lucile Packard Children's Hospital Stanford. Y'all have mad raffle selling ticket skills -- and you crushed it! Nina Magon chaired our annual Let's Do Lunch event that drew a fashionable bunch of more than 100, who shopped, sipped bubbly and had their eyes on must-have fashions from Tootsies. There was pop-up shopping, courtesy of Switch2Pure, Dena Lyons Couture, Haute and Cool Chocolates and jewelry by designer Jude Frances. 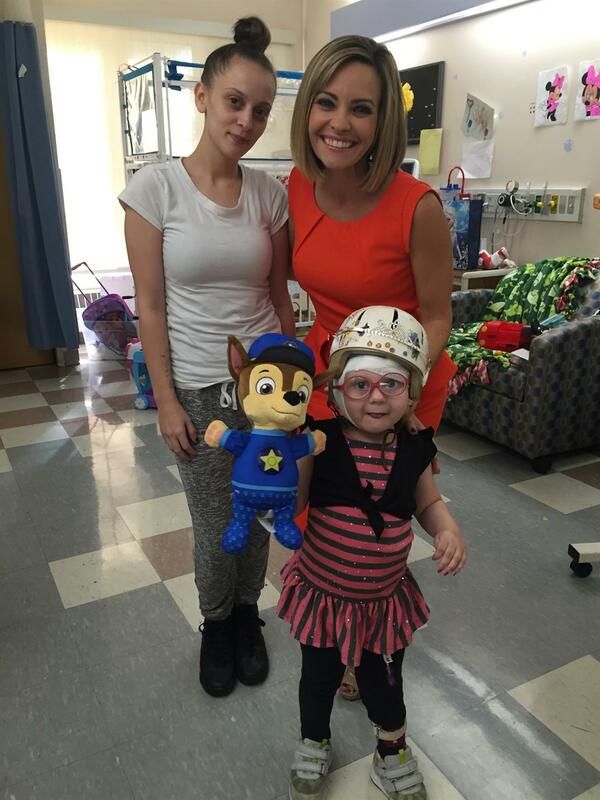 Nearly $60k was raised to fund decorating the hospital rooms of long-term pediatric patients. 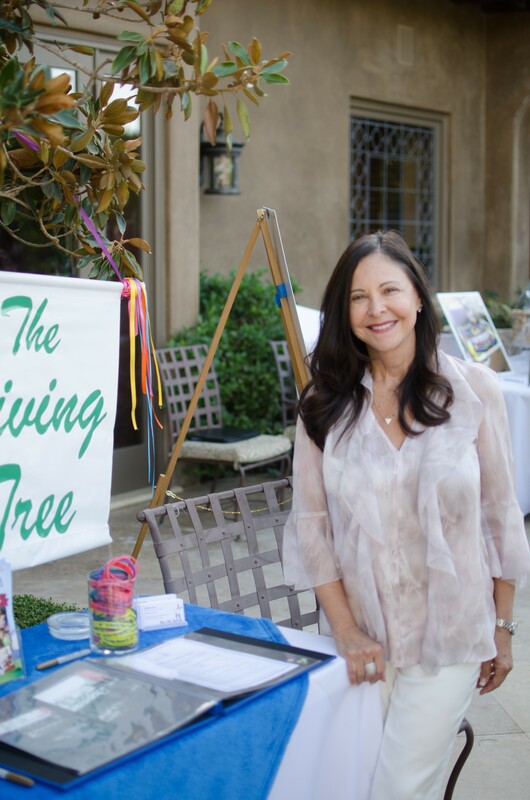 On Sunday, October 7th our Los Angeles Chapter hosted a unique tea fundraiser set in a beautiful garden at a private home in Encino. The day was enhanced by the philanthropy of healers with various modalities who provided mini sessions for the guests. Elegantly decorated tables and catered delicacies were enjoyed by all, as well as a guest speaker from H2Life and a dream expert who spoke on the significance of sleep. A boutique of high-quality vendors added to the ambience of the afternoon. Kick Up Your Boots for Kids was held Wednesday, February 7 at the Redneck Country Club. 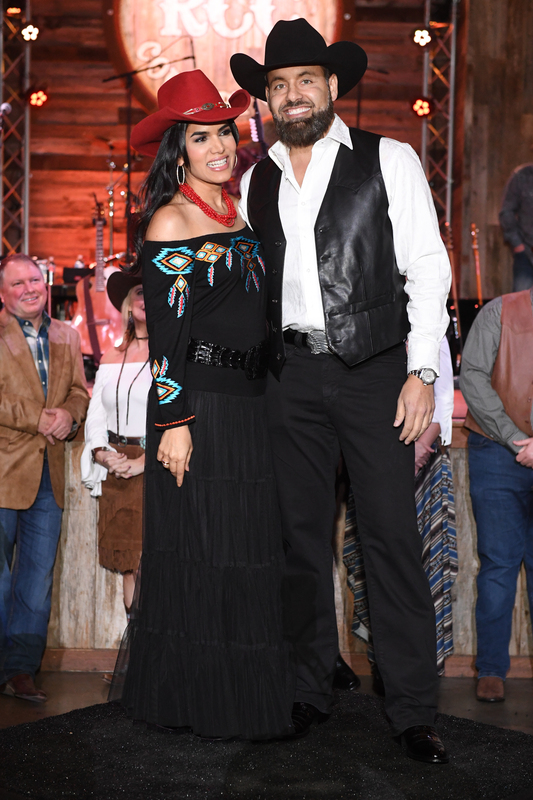 A fashion show by Pinto Ranch kicked off the evening, followed by a concert by legendary Mark Chesnutt. 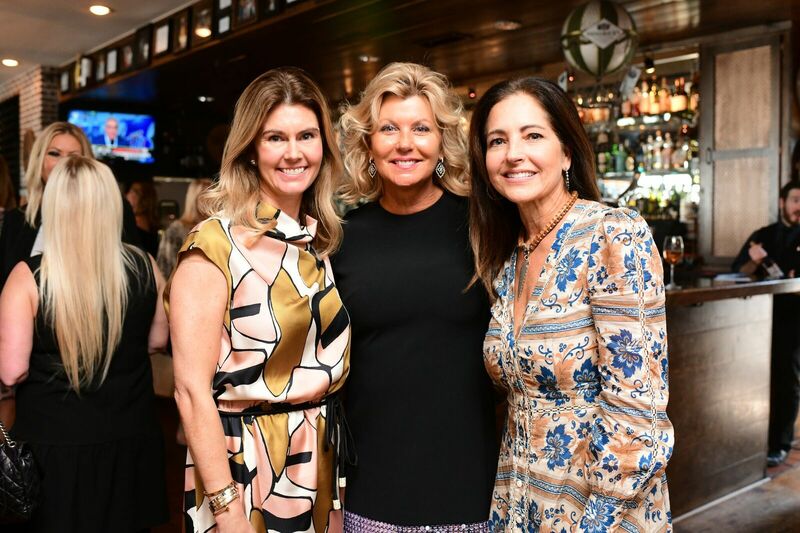 The lunching ladies poured in early to shop the Sydney Evan jewelry designs presented by Neiman Marcus, sponsor of Dec My Room's Perfect 10 Fall Luncheon at Cafe Annie. Anytime you hear of a child being in the hospital, it's heartbreaking, especially when they have to be there for weeks, even months. But an organization, fairly new to Cleveland, is now transforming hospital rooms for kids, making them over with all the characters and sports they love. 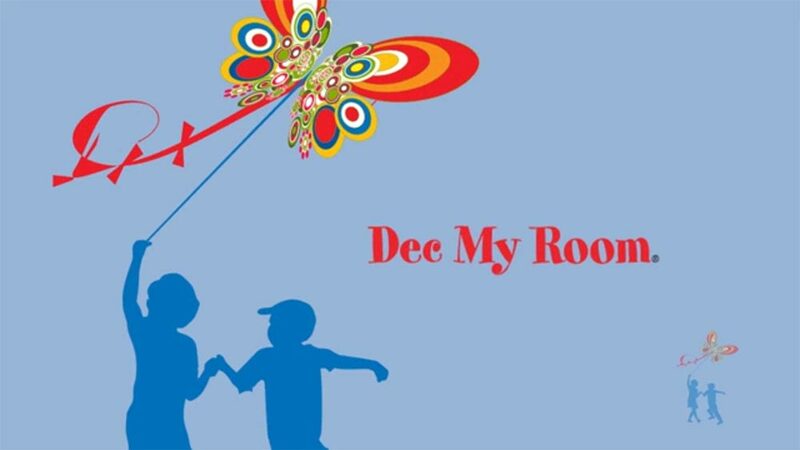 Volunteers from Dec My Room have "dec’d" more than 75 rooms for kids at Cleveland Clinic Children’s Hospital since 2016. Celebrates 10 years of creating healing places! 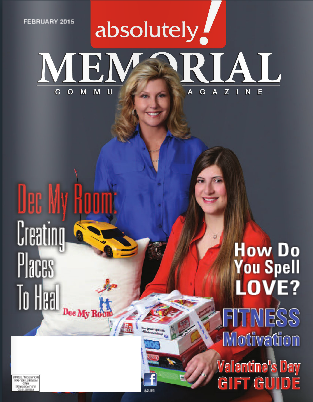 Dec My Room celebrates 10 years of creating healing places! 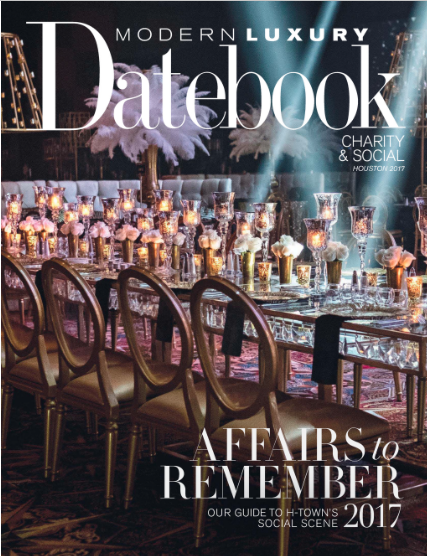 Dec My Room Founder and President, Susan Plank, is featured as The Guest Editor in the Houston Modern Luxury Charity & Social Datebook 2017. 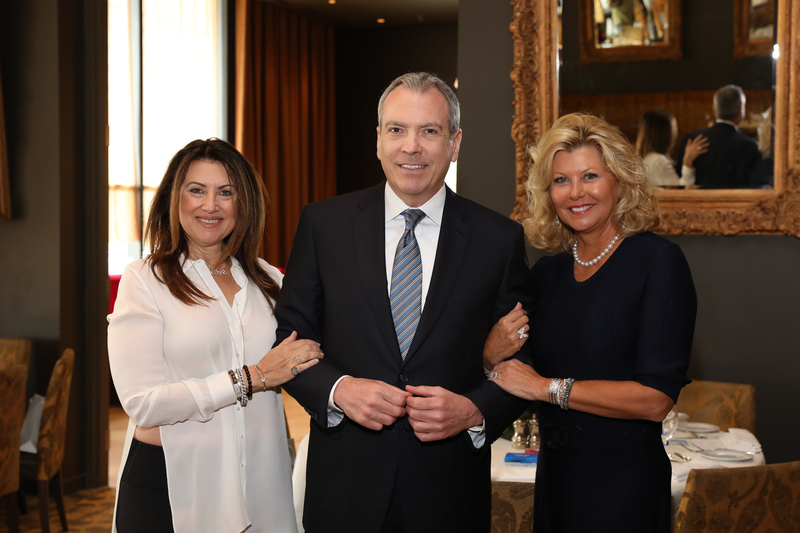 Hundreds of pediatric patients are to benefit from the generosity of the beautiful donors, supporters, board members and volunteers who attended the filled to capacity luncheon at Café Annie. 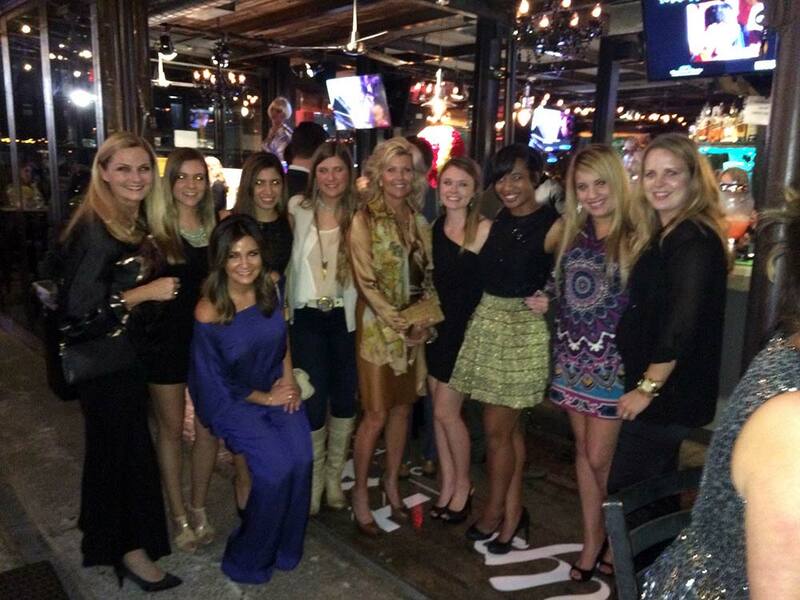 Over 200 ladies who lunch, gathered at RDG+Bar Annie for “Let’s Do Lunch” on Tuesday October 13. 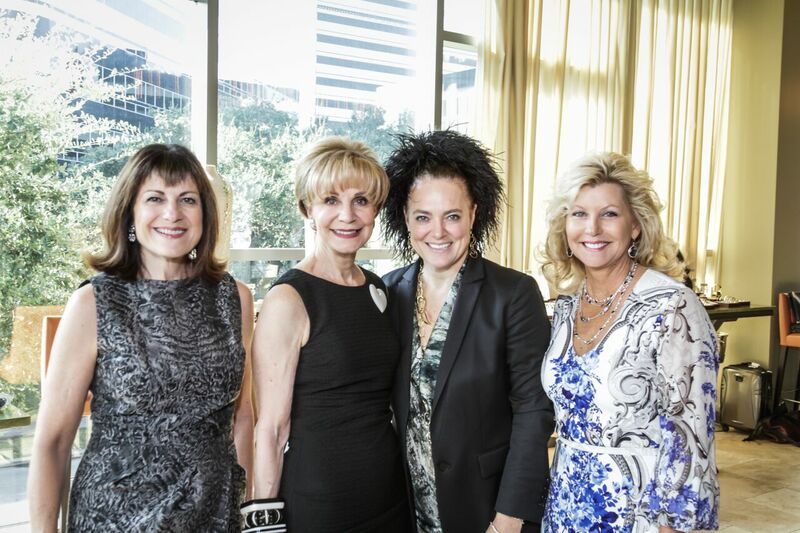 Chairs Ellie Francisco and Leisa Holland Nelson greeted guests along with Founder of Dec My Room Susan Plank. In pediatric hospitals across the country, you might notice something unexpected: smiles! 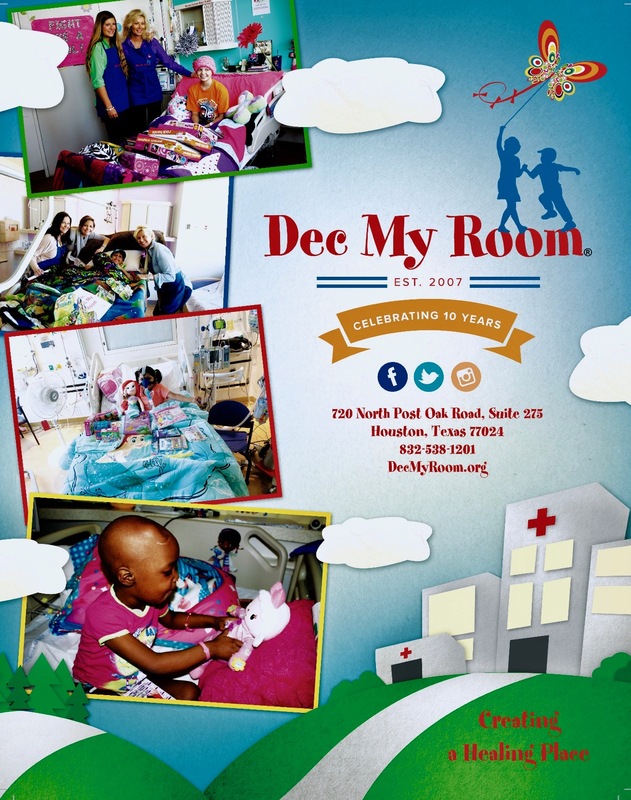 Dec My Room created a half dozen “healing places” at Children’s Medical Center Dallas on Monday, March 23rd. New volunteers were trained and decorated rooms. ABC News’, Jim Ryan interviewed Susan Plank, Founder and President, at the hospital. 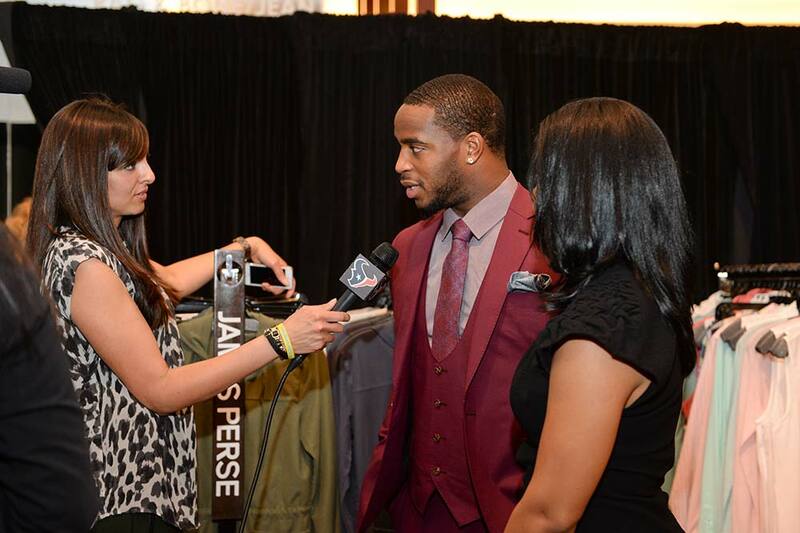 Once again, Houstonians really showed their generosity with time and charitable dollars! 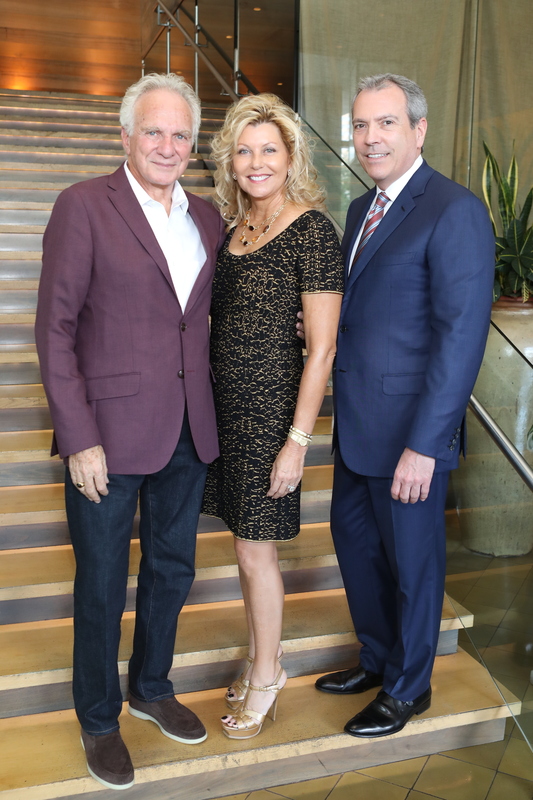 Dec My Room raised over $100,000 showcasing a grand partnership with Co-Chair couples Hanna & Cal McNair and Joanna & Brad Marks. 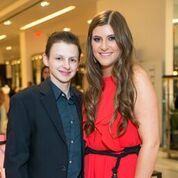 At the Inaugural Cheers 4 Charity, Peter Remington and staff hosts hundreds of Houston’s brightest up and coming young professionals and 4 children based charities, Dec My Room, Kid’s Meals, Eye Care for Kids and Be an Angel. 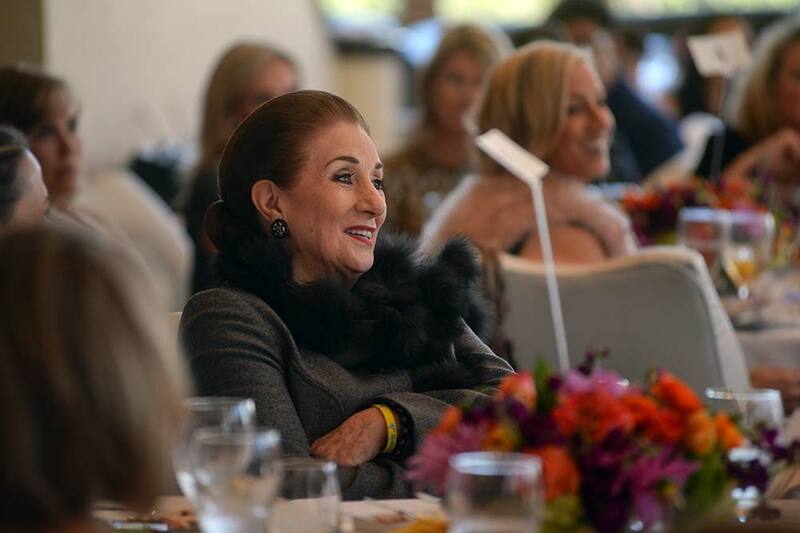 Dec My Room supporters lunched at Artista with honorary Chairwomen Martha Turner and Kiki Wilson. Our Vision is to enhance the lives of children who are being admitted into a hospital for a prolonged amount of time.